From Victoria Falls Airport, take a 20km north road transfer. Victoria Falls makes a fantastic year round destination. Its location in the northern part of Southern Africa means that it experiences very mild winters. The summer months from October to April are generally hotter. You can expect short, sharp afternoon thunderstorms as rain clouds gather throughout the day which in turn give rise to some excellent sunsets. 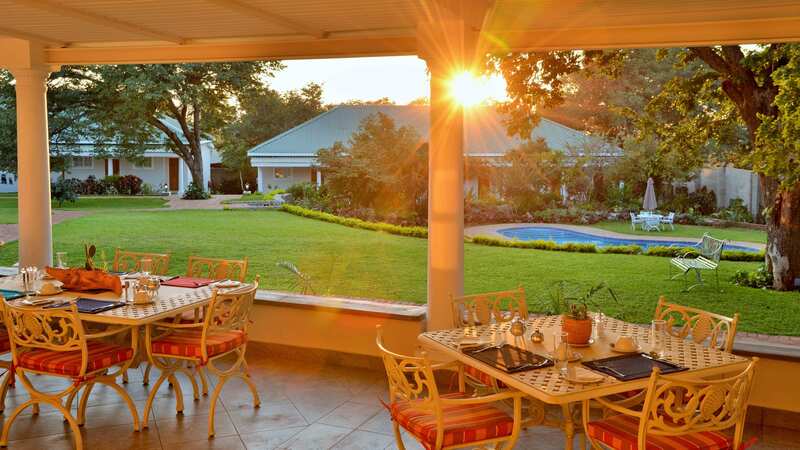 Batonka Guest Lodge is great value for money accommodation in Victoria Falls. The lodge has a modern feel, yet stays true to the splendid colonial era that arouses elegance and charm. Batonka Guest Lodge is a hybrid of boutique hotel and owner-run guesthouse on the outskirts of Victoria Falls on the Zimbabwean side. The Lodge is situated conveniently close to Victoria Falls town and the Falls themselves in a quiet residential area surrounded by beautiful Zambezi Teak forests. It has 22 luxury rooms each with a private veranda overlooking the gardens with a beautifully appointed central entertainment and dining area carefully sited in extensive gardens with a generously proportioned swimming pool. Batonka Lodge has 22 rooms. 22 en suite rooms including a family room, 8 inter-connected rooms and a wheelchair-accessible option Each Batonka Lodge has an en suite bathroom as well as a private balcony. Each room overlooks the beautifully manicured gardens. Children are welcome at Batonka Lodge and inter-leading rooms are available on request. The main area has dining facilities, lounge areas, curio shop and the reception which is available to guests 24 hours a day. The dining facility can be either indoors or on a large spacious and outdoor terrace area overlooking the garden and swimming pool. Enjoy delicious meals prepared by the team of Batonka Guest Lodge. Victoria is a hub of activities ranging from fascinating nature and wildlife encounters to heart-stopping adrenaline hits. 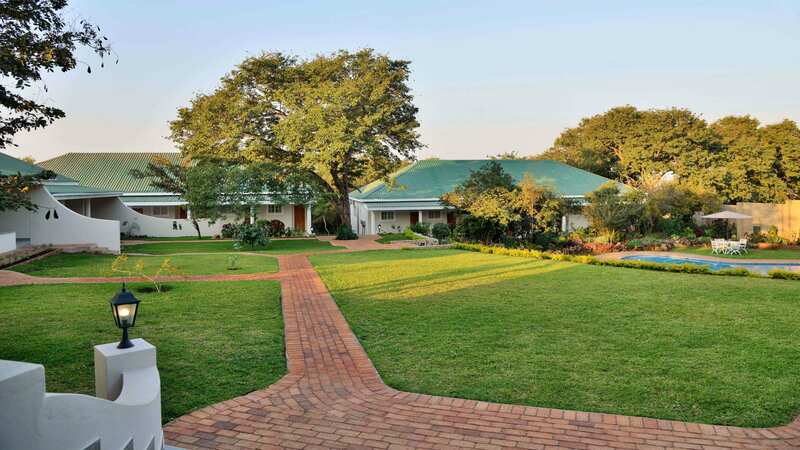 Whatever your preference, the reception at Batonka Guest Lodge also serves as the information and activities booking desk, and a curio shop offers a selection of Zimbabwean art and craft as well as local memorabilia. Boutique style lodge with a guesthouse atmosphere.